While in New York, I was constantly checking my Happy Cow app and stumbled upon this gem. 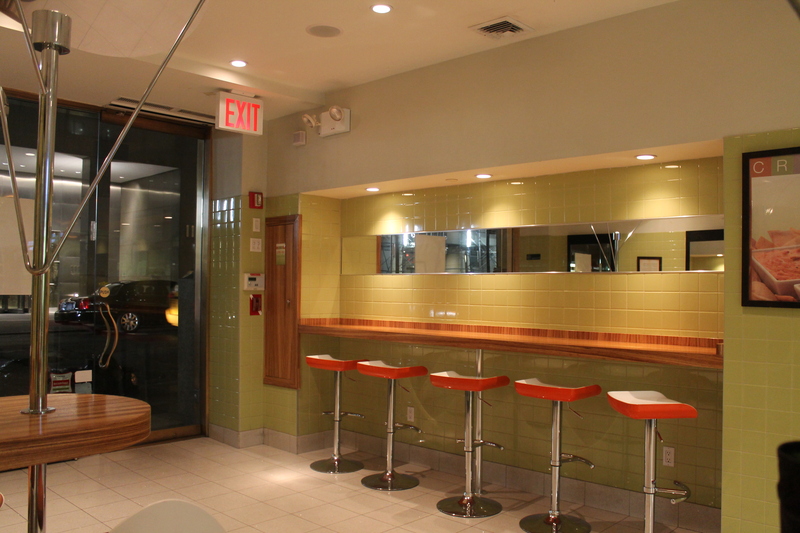 Crisp, located a few blocks from Times Square, and just around the corner from Bryant Park offers a truly unique quick service health food option. 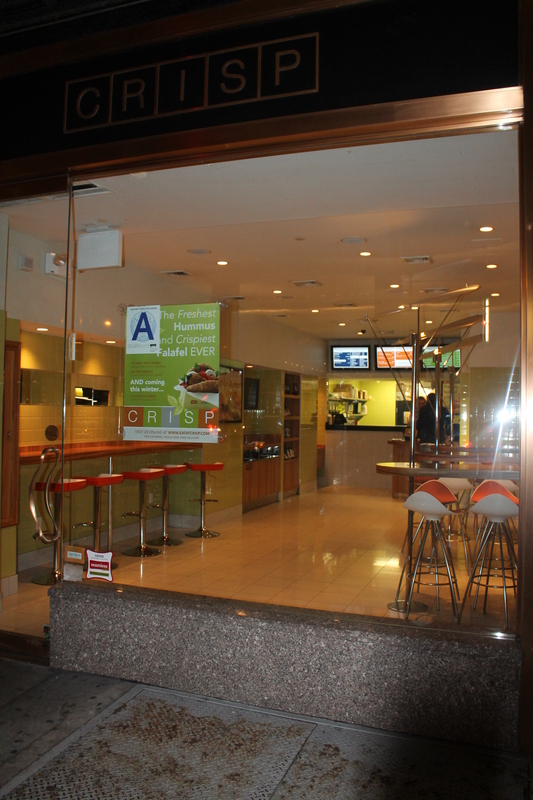 If you love a falafel as much as I do, then Crisp is a go to on your list of veg-friendly stops in NYC. During my first visit, I opted for the Crisp Mexican- cilantro pesto with avocado, nachos, corn, tomato salsa, garden greens and pickled jalapeno. Make sure to tell them no corn (I think that’s what it was, it’s been awhile since my visit), it’s not vegan. There is something mixed in, can’t remember at this point, but do ask. Everything is vegetarian, just not vegan. That’s about the only thing keeping me from opening a Crisp franchise of my own! 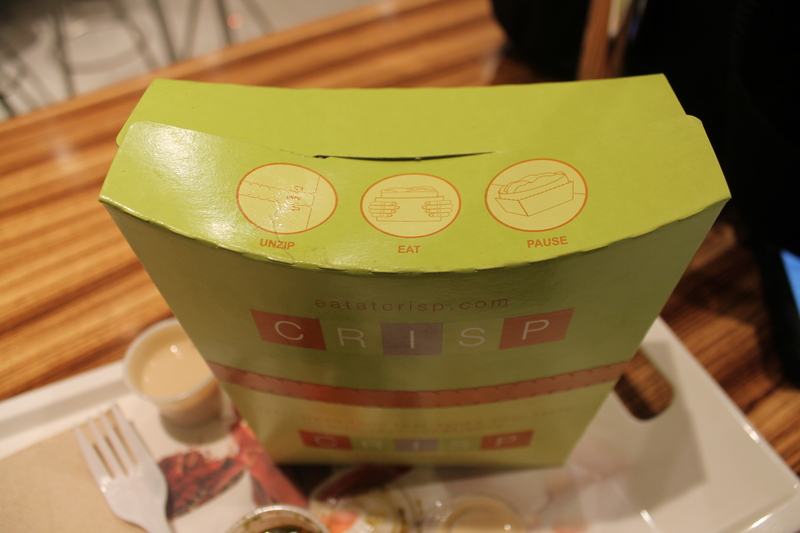 The falafel come packed in an awesome little box that keeps it all together. 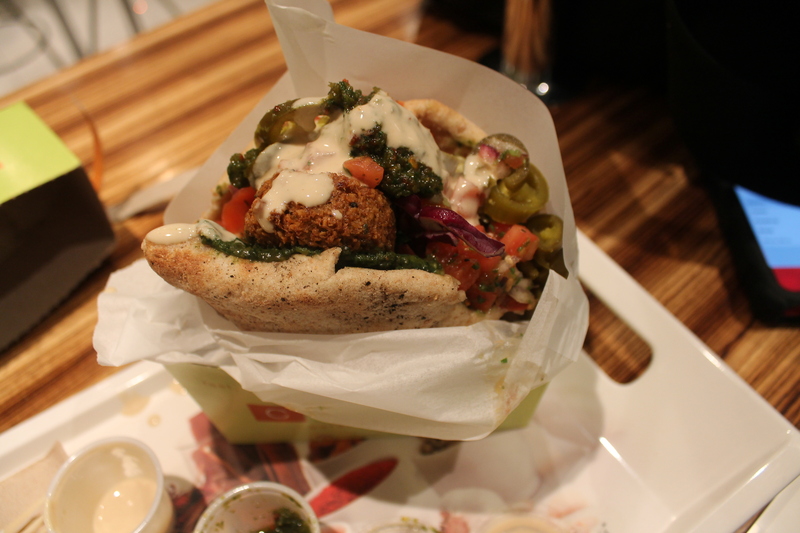 Don’t you hate when you are trying to eat a falafel and it spills everywhere? 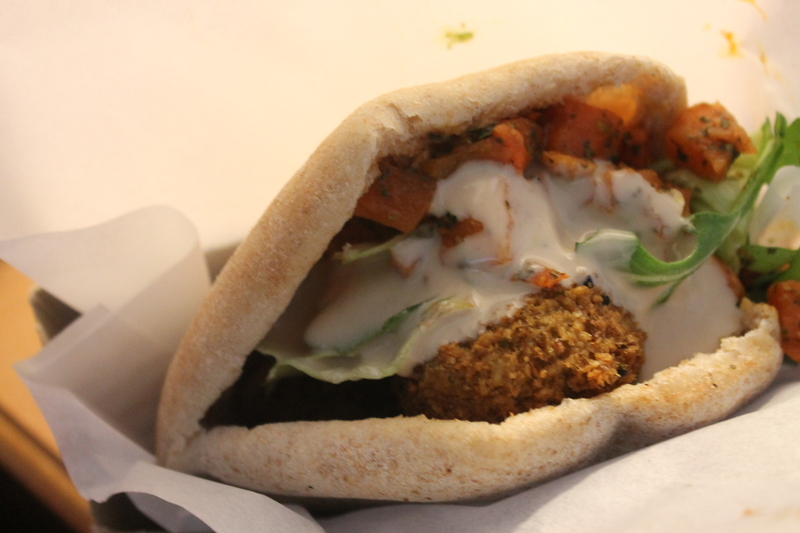 Just pull the handy tab in the middle and voila, its falafel time! And so, I loved this meal so much that I returned the next day prior to my departure home (and after a pit stop to Dun-Well Doughnuts). This time I went for the Crisp Mediterranean, and I have to say, there is no comparison to the mexican. I was even a little disappointed. The flavor just wasn’t as booming. I guess, I will just have to try all of the different options out!